I also teach beginning weaving on a floor loom or table loom at your location or in my studio. I have experience with 4 and 8 shaft jack looms, counterbalance looms and table looms. 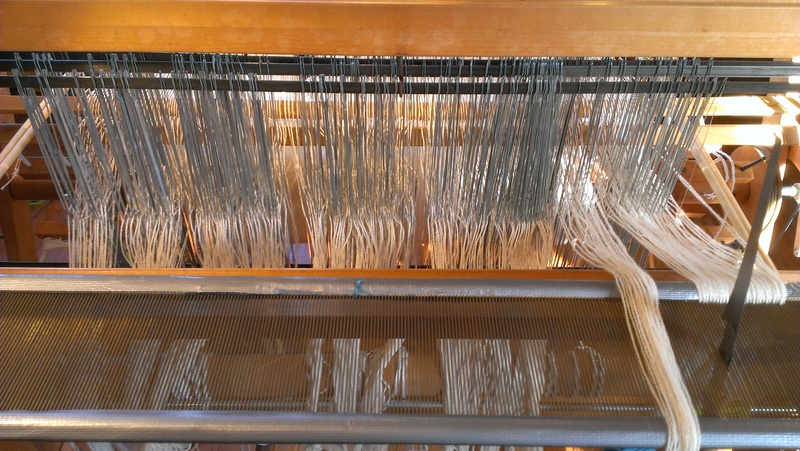 I have one 4 shaft table loom that I can rent for a month at a time ($25) to use in your home as part of your private lessons if you do not have a loom yet. I also have a portable warping board to bring to lessons at your location if you don’t yet have one. I teach warping back to front. If you have a loom and don’t know how to use it or need a refresher, just call me and I will come to you. 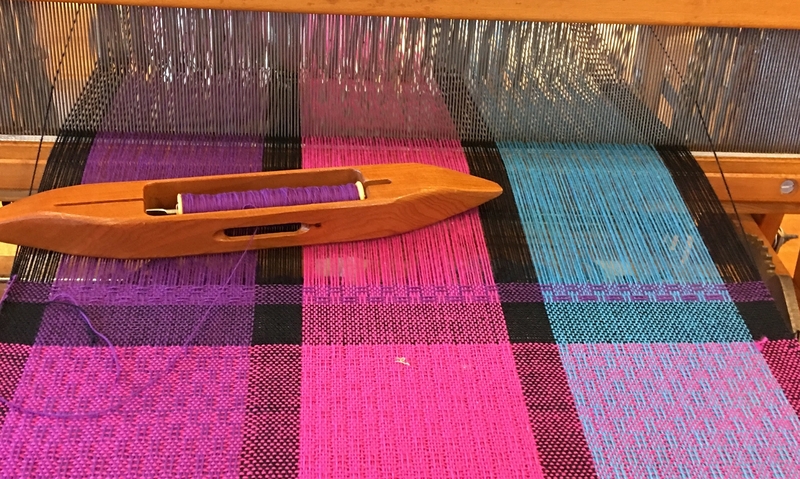 Rates are $25/hour and it can take from 5-15 hours to get you started weaving on your own loom depending on your prior weaving experience. We break it up over 3-4 hours sessions on multiple days. You will need to have a loom in good working condition and the proper equipment before starting classes, including a warping board, stick or boat shuttle (and a bobbin winder and bobbins if you use a boat shuttle), lease sticks and a raddle. Just contact me to start the process. I must make a one hour evaluation at my hourly rate of what you have/need prior to the class. I will give you a written summary of what you have and still need to go along with some links to resources to look at ahead of time. The lessons are custom designed for you. 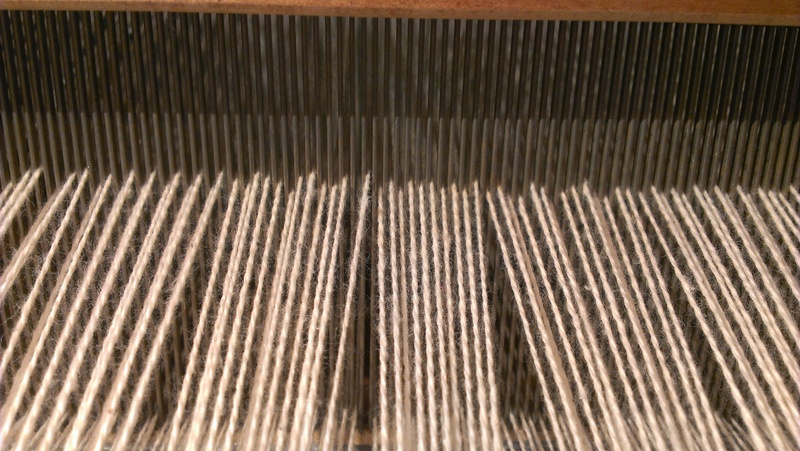 If you have prior Rigid Heddle weaving experience, it is very helpful. If not, that is a good way to start if you have no weaving experience at all.